The causes could be many including a third-party anti-virus interfering with the process, malicious software in the system, problematic Windows updates, missing files in the system, etc. 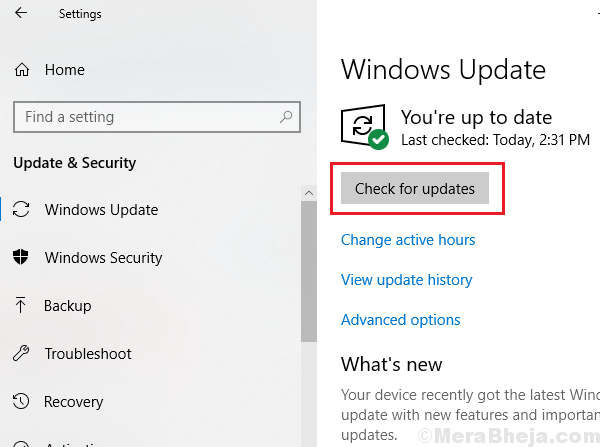 1] Update Windows: Before proceeding to more complicated troubleshooting, updating Windows could be very helpful in resolving the problem. 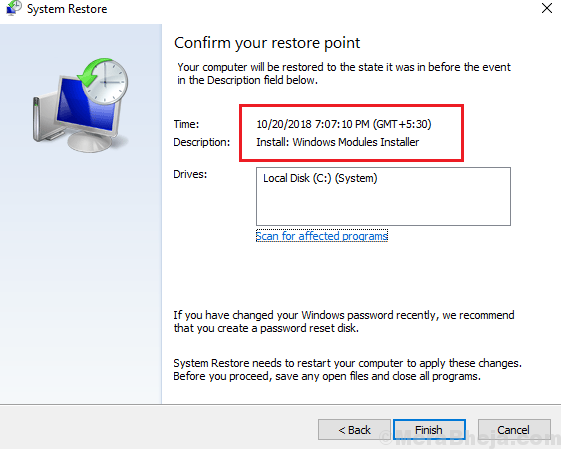 Here’s the procedure for updating Windows. 2] Uninstall any third-party anti-virus. They interfere with Windows Defender. 3] Check your system for any recently installed malicious software and uninstall it. Before restoring the system, we could try an SFC scan just in case the issue was caused by missing files in the system. Here’s the procedure for performing an SFC scan. After the SFC scan has been performed and it has been confirmed that the system files are in place, we could restore the system to a previously created stable restore point, just in case any recent changes messed up things. 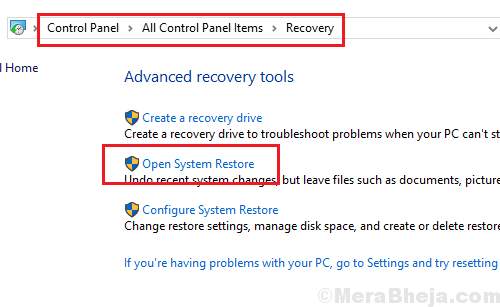 2] Go to Recovery and select Open System Restore. 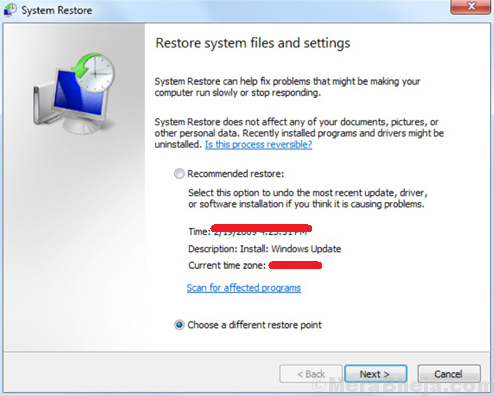 3] Choose a Different Restore point and click on Next. 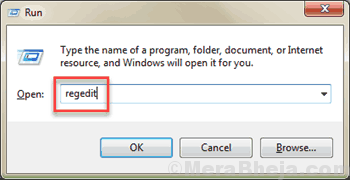 4] Confirm the settings and restore the system in the next step and click on Finish. 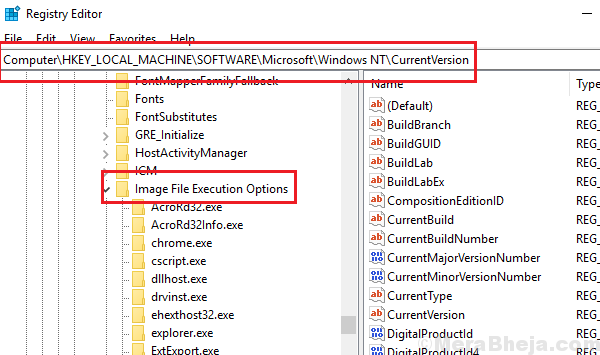 3] On the right-pane, if you find any of the keys MSASCui.exe, MpCmdRun.exe, MpUXSrv.exe or msconfig.exe, right-click and delete them. These keys represent a malicious software in the system. 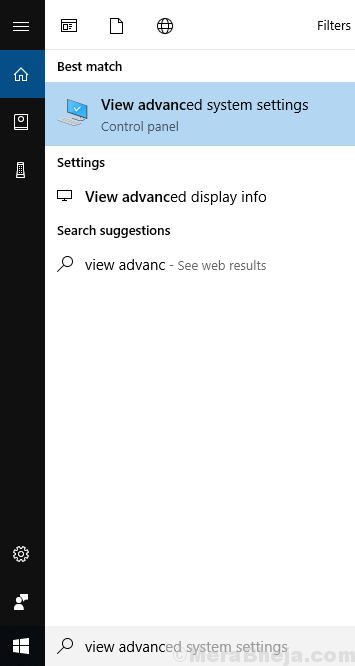 1] Search for View advanced system settings in the Windows search bar. 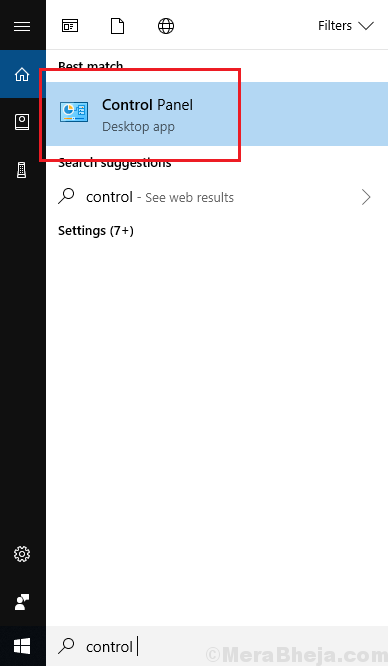 2] Click on Advanced Tab. 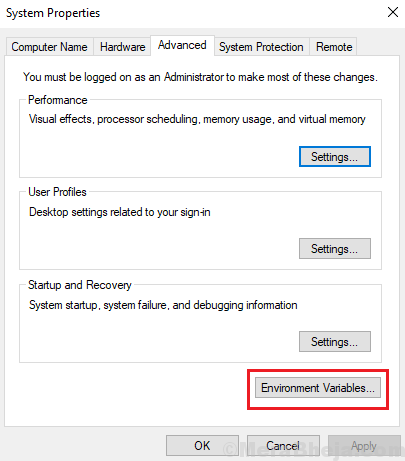 Click on Environmental values to open the option. 3] Locate the %ProgramData% variable. Check it its value has been set to C:\ProgramData. 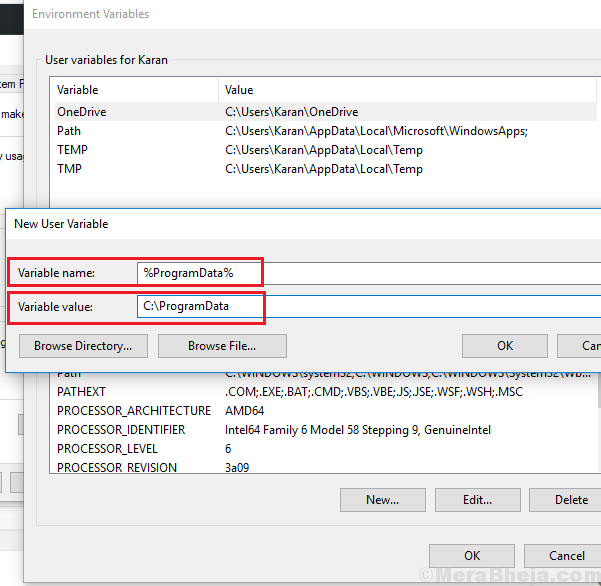 4] If not, click on Edit and change the value of the %ProgramData% variable.